“Increasing awareness is so important to put an end to domestic violence. We invite everyone in the community to stop by this event, shop and help raise money for a very necessary cause,” says Stephen Shanton, president and CEO of Venture Construction Group of Florida. 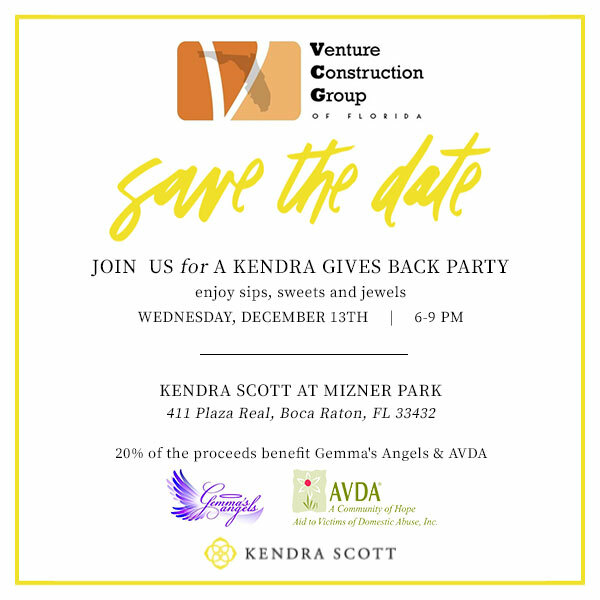 Venture Construction Group of Florida (VCGFL) hosts a fundraiser with Kendra Scott to raise awareness for domestic violence and January’s Stalking Awareness Month. 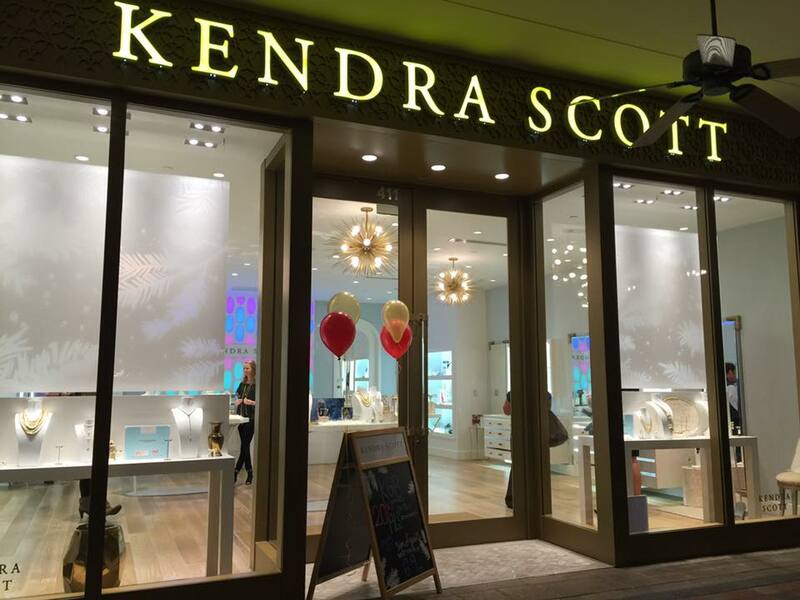 The Kendra Gives Back Party takes place on Dec.13 from 6 p.m. - 9 p.m. at Kendra Scott, Mizner Park at 411 Plaza Real, Boca Raton. The shopping event is open to the public and includes sips, sweets and a fun shopping event. 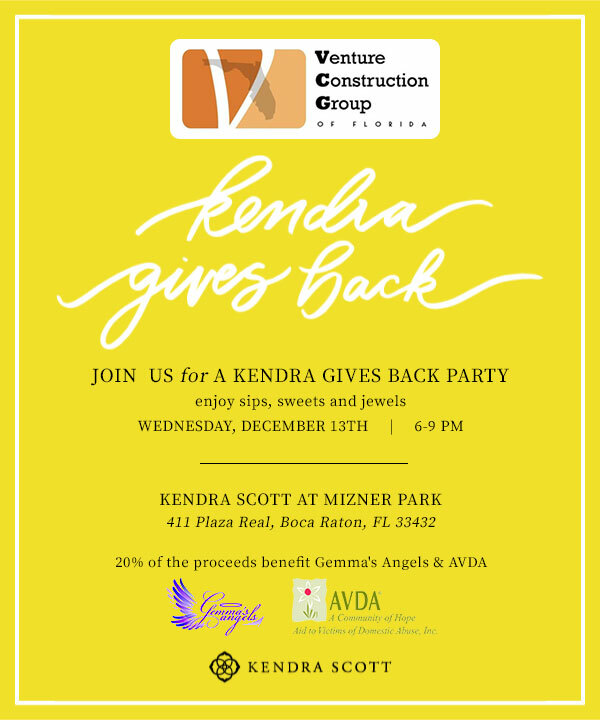 The Kendra Gives Back Party will donate 20 percent of sale proceeds to Gemma’s Angels Foundation Boca Raton and Aid to Victims of Domestic Abuse (AVDA). Orders will be accepted onsite at the Kendra Gives Back Party and via phone during the event. Please call 561-430-2520 to place your order. VCGFL is matching all donations. VCGFL is also hosting a Toy Drive for AVDA. VCGFL invites the community to drop off a toy at the Kendra Gives Back Party or at a VCGFL office location at 2630 SE Willoughby Blvd., Stuart or 301 Yamato Rd, Boca Raton through Dec. 15. The Gemma’s Angels Foundation Boca Raton is dedicated to raise awareness and end domestic violence in honor of Gemma Burlakoff and her fight to save her children. In 2013, Gemma fought heroically with her husband, the father of her children, in a violent domestic dispute to protect her children. Gemma was murdered in front of them. AVDA provides a state-certified domestic violence center that offers a comprehensive array of services for victims of domestic violence including a 24-hour crisis hotline, emergency and transitional housing, advocacy, counseling and support to help them live violence-free and self-sufficient lives. AVDA also works throughout the community to educate and engage people of all ages in the commitment to prevent violence. “It’s so important to continuously raise awareness about domestic violence. This is a tragic and a pervasive issue that isn’t going to magically disappear. It doesn’t just affect one person, it affects the entire family, it affects so many,” says Sandra Lawson, operations director at Venture Construction Group of Florida, co-founder of Gemma’s Angels, sister of Gemma Burlakoff. According to a report by the American Psychological Association in 2014, over 4.7 million women experience physical violence by an intimate partner every year. According to a report by the Centers for Disease Control and Prevention (CDC) last July, most murders of American women involve domestic violence and in 93 percent of those cases, victims were killed by current or former intimate partners. According to the National Domestic Violence Hotline, more than 1 in 3 women (35.6%) and more than 1 in 4 men (28.5%) in the United States have experienced physical violence and/or stalking by an intimate partner in their lifetime. According to the National Coalition of Domestic Violence, domestic violence is prevalent in every community, and affects all people regardless of age, socio-economic status, sexual orientation, gender, race, religion, or nationality. Physical violence is often accompanied by emotionally abusive and controlling behavior as part of a much larger, systematic pattern of dominance and control. On a national scale, an average of 20 people are physically abused by intimate partners every minute, which equates to 10 million abuse victims annually. On a typical day, domestic violence hotlines receive approximately 20,800 calls. 19 percent of intimate partner violence involves a weapon. Intimate partner violence accounts for 15 percent of all violent crime. 1 in 3 female murder victims and 1 in 20 male murder victims are killed by intimate partners. 72 percent of all murder-suicides are perpetrated by intimate partners. 94 percent of murder-suicide victims are female. 19.3 million women and 5.1 million men have been stalked which equates to 1 in 7 women and 1 in 18 men. Over 66 percent of female stalking victims reported stalking by a current or former intimate partner. According to the Florida Coalition of Domestic Violence (FCADV), in 2016,105,668 crimes of domestic violence were reported to Florida law enforcement. The coalition warns that many more survivors of domestic violence are not reporting their abusers to the police or accessing services at domestic violence services due to reasons such as shame, fear, or being prevented from doing so by their abusers. In Florida, over 170 domestic violence homicides took place in 2013. Many more incidents went unreported. Although overall crime rates in Florida decreased in 2013, rates of domestic violence remained the same, and incidence of stalking increased by 19 percent. A major advocate for philanthropy and giving back to the community, VCGFL sponsors numerous charities and educational events throughout the state. Recent sponsorships include Feed the Hungry Event in Boca Raton; Kendra Scott Gives Back Party to Benefit Gemma’s Angels Foundation in Boca Raton; Kendra Scott Gives Back Party To Benefit ALS in Boca Raton; Walk to Defeat ALS in Miami-Dade, Estero, Orlando, Palm Beach, Davie; ARC of Martin County Fishing Tournament in Stuart and throughout the St. Lucie, Jupiter, Palm Beach inlets; JRC Foundation Golf Tournament to Benefit Molly’s House and Quantum House in Palm City; JRC Foundation Golf Tournament to Benefit SafeSpace in Palm City; Palm City Chamber of Commerce 22nd Annual Golf Tournament; Melbourne Regional Chamber of Commerce Golf Tournament; Martin County High School Football Club Annual Golf Tournament. 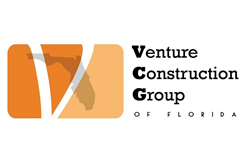 Founded in 1998, Venture Construction Group of Florida (VCGFL) is an award-winning leader in construction, restoration, renovations, roofing, storm damage repairs, and 24/7 emergency services throughout the state of Florida. Specializing in industrial/ commercial projects, VCGFL assists property managers, condominium boards, homeowner associations, association boards, hotels and business complexes with general contractor services, specialty construction, historical restoration, water and flood mitigation, and property repairs due to fire, flood, water, wind and hurricanes. VCGFL won the prestigious Qualified Remodeler Top 500 Remodelers in the U.S., Qualified Remodeler Master Design Award, and is the proud recipient of the 2017 FRSA S.T.A.R. Spotlight Trophy for the Advancement of Roofing Awards in Sustainability and Community Service. With offices in Boca Raton, Ft. Myers, Orlando, Stuart, and Tampa, VCGFL is committed to operational excellence and exceptional customer service. VCGFL takes care of the details every step of the way including roofing, siding, windows, drywall, flooring, paint, gutters to rebuilding properties after major storm events from hurricanes, tornadoes, and hailstorms. VCGFL carries the industry’s leading accreditations and is an exclusive certified National Storm Damage Center Preferred Contractor, Platinum Preferred Certified Contractor with the National Insurance Restoration Council, Windstorm Insurance Network WIND Certified Umpire®, WIND Certified Appraiser®, WIND Certified Fellow®, Certified Member of the United Association of Storm Restoration Contractors, Certified Member of the Florida Roofing and Sheet Metal Contractors Association (FRSA), Certified Member of Exterior Insulation and Finish Systems (EIFS) Industry Members Association (EIMA), Owens Corning Platinum Preferred Contractor, Mule-Hide Legacy Contractor, Certified CertainTeed Contractor and Duro-Last Certified Contractor. VCGFL credentials have been vetted and screened through independent third party Global Risk Management Solutions. For more information call 866-459-8351 or visit us online at http://www.vcgfl.com. Gemma’s Angels Foundation is dedicated to raising awareness to end domestic violence in honor of Gemma Burlakoff’s fight to save her three daughters. Gemma was brutally murdered in front of her children in a domestic dispute in 2013. Gemma successfully saved her children's lives and lost her life in doing so. Gemma fought heroically to protect her children. Unfortunately, no financial support was left behind to provide and care for her daughters. Gemma’s Angels Foundation was launched in 2014 and thrives on the support of businesses, fundraisers and major awareness events. Anyone who needs help please contact the National Domestic Violence Hotline at 1-800-799-SAFE. Florida residents in need of help may contact the Florida Domestic Violence Hotline at 1-800-500-1119. AVDA has been a safe haven for thousands of victims of domestic abuse. Adults and children are provided 24-hour, 7 days a week emergency shelter, crisis counseling, food, clothing, individual and group counseling services. AVDA promotes violence-free relationships and social change by offering alternative choices to end violence and domestic abuse. Learn more at http://www.avdaonline.org/. Kendra Scott is a leading fashion accessories brand inspired by the personal experiences, travel and sense of community of its CEO and Designer, Kendra Scott. 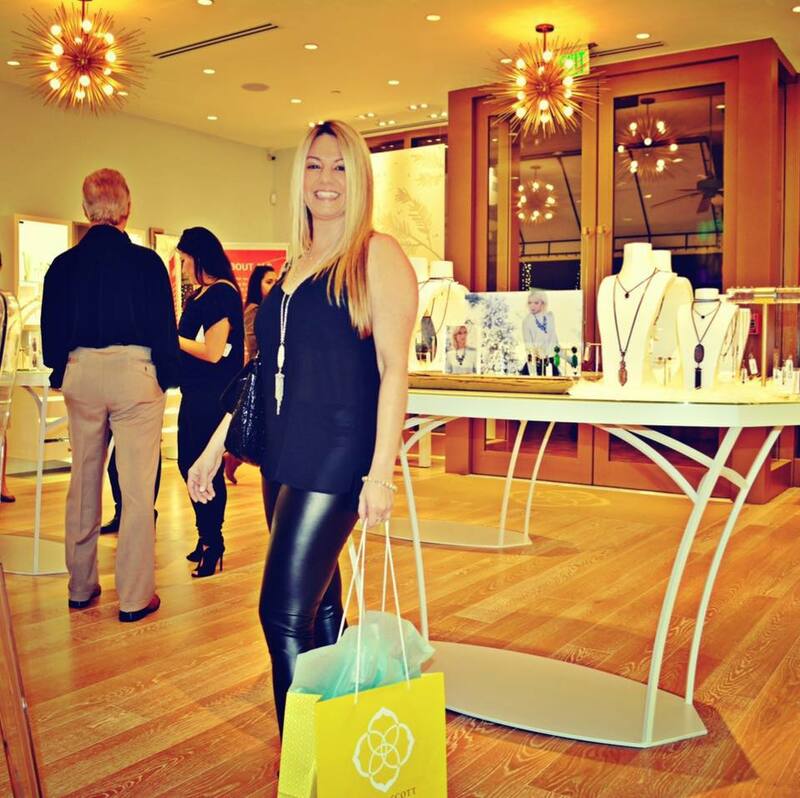 A true omni-channel business, Kendra Scott is sold at premiere retailers including Nieman Marcus, Nordstrom, Bloomingdale’s, Von Maur and over 600 specialty boutiques worldwide, the brand boasts a thriving web business and over 50 stand alone retail stores across the United States. The brand is well-known for its comprehensive suite of elegantly designed jewelry pieces as well as lifestyle categories such as beauty, home goods and fine jewelry. The brand also offers the Kendra Scott Color Bar™, an innovative jewelry customization experience available in all Kendra Scott stores as well as http://www.KendraScott.com.